The lives of Emma and Marla will absorb a readers’ attention. Emma’s struggles and achievements touch your heart and inspire you to work harder - improving life for yourself and your family, but also for those around you who experience society’s injustices. Marla’s storybook romance adds to the enjoyment of the book. This historical fiction account of life in 1920’s through 1960’s South Africa concludes with a short chapter - entitled “The Politics” - which gives additional information about events related to apartheid. The two sections of the book focus first on the life of Emma, then on the life of Marla, her daughter. Emma (Emily,) born into a “coloured” family, feels the injustice of the segregationist society; however because she is able to “pass” as a “white,” she crosses barriers that the rest of her family cannot. Emma strongly believes in the power of education. After completing high school, she is determined to attend the university, but her family is large and needs the income she could provide. Rather than work at a low-paying job in Cape Town, Emma decides to use her lighter skin and the English language she perfected to travel to Johannesburg to live and work as a “white.” Emma keeps learning, working hard, and making friends, some of whom know her secret. (Some of her friends fled Nazi Germany only to find a similar prejudice infesting the country to which they had escaped.) She sends her family money which they use to improve their house, when permitted, and educate her sisters and brothers. Behind the scenes, she works with and donates money to groups that are attempting to reverse apartheid laws, while also trying to stop the imposition of harsher new laws after the 1960’s. Her daughter Marla is raised as a white, but she and many of her college friends protest the government’s policies although this always causes Emma to worry that Marla’s heritage will be discovered. Young adult and adult readers will enjoy reading the story of Emily’s transformation into Emma, a store lingerie buyer, homeowner, and part-time model. The friendships and romances of both Emma and Marla introduce intelligent, sometimes funny, caring characters into the storyline. 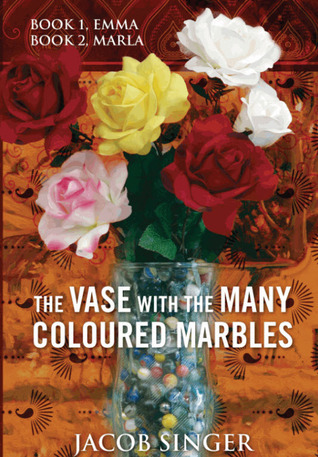 For a reader who knows very little about South Africa and its history, the book is a wealth of information about a beautiful country, blessed with rich resources, but troubled by segregationist attitudes which became more established and immoral over time.